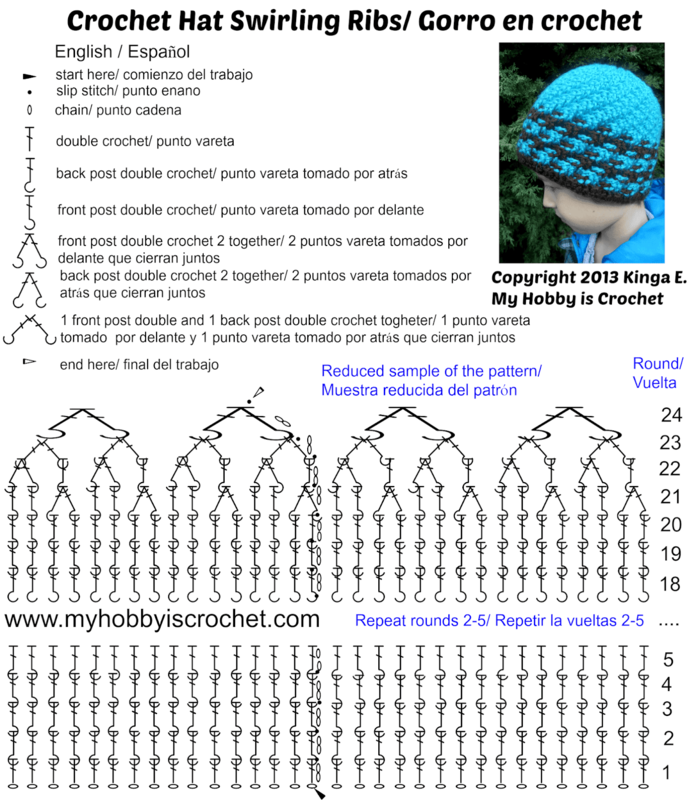 I have created a charted version of my free pattern with written instructions Swirling Ribs Crochet Hat for the people from all around the world who can read crochet charts, but don't speak English, or can not read English written instructions. 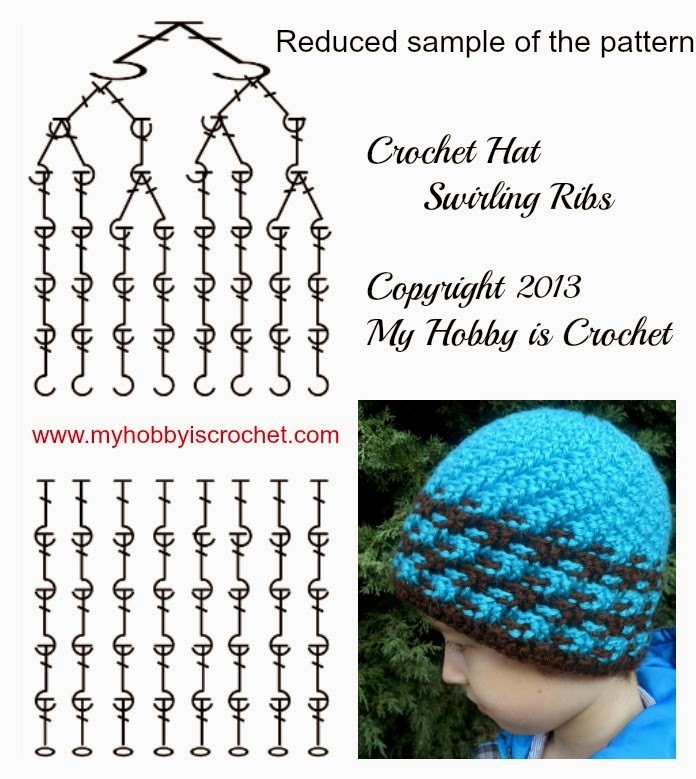 See the Written instructions with Picture Tutorial in the link above! 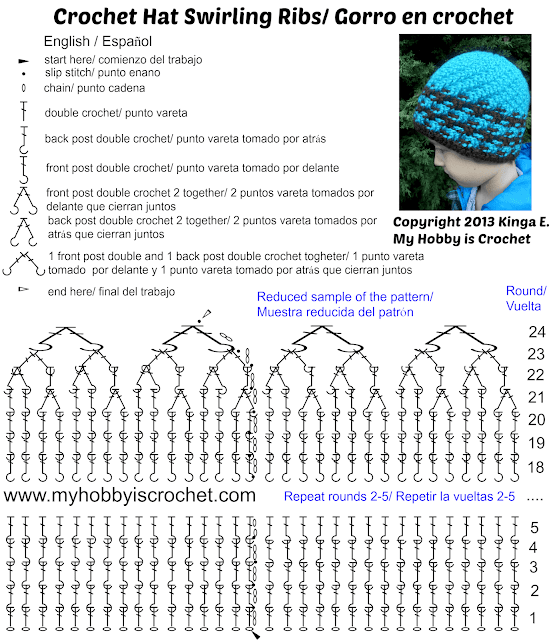 Download the chart as PDF/Descargá el gráfico en PDF! Copyright info: The crochet chart it is intended solely for your personal use. Not allowed to post on other blogs or Facebook pages! In return you can to direct the people to my blog to see it. Thank you!